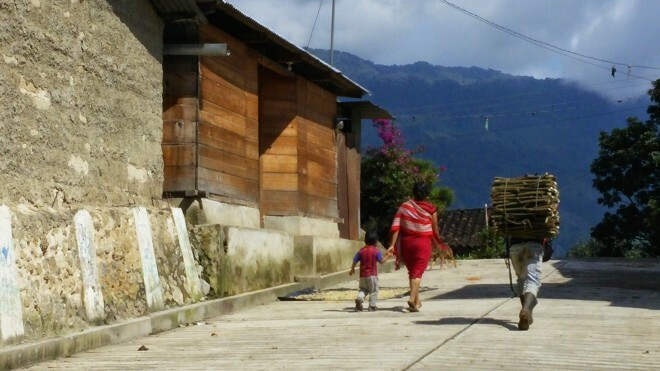 Maya Ixil is a coffee cooperative in Nebaj, part of Guatemala’s Ixil triangle. The organization was established in 1998 with 28 members, and now has more than 200 today. As with all our projects, we started out by establishing a relationship with the community that reflects our role: working for the cooperative. 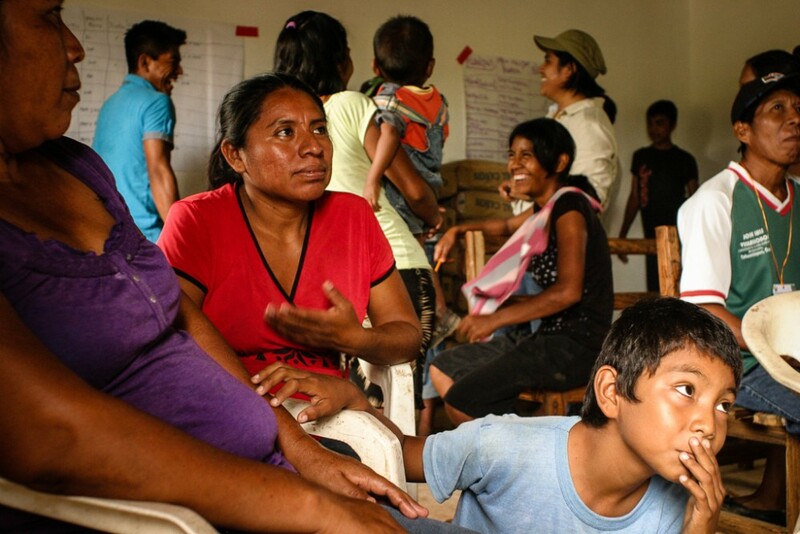 The goal is to create long-term positive impact for Maya Ixil producers and their families. Alfredo Contreras of CADIA teaches beekeepers-in-training about processing products from the hive, such as propolis and pollen. During the first phase of work, which ran from 2014 – 2016, we worked with CADIA (Training in Apiculture Development and Innovation), a Mexican organization specializing in sustainable agriculture in Mexico and Central America. Funding was provided by Root Capital, a leader in the nonprofit social investment arena, which funds and trains agribusinesses to grow rural prosperity in economically and environmentally vulnerable places around the world. 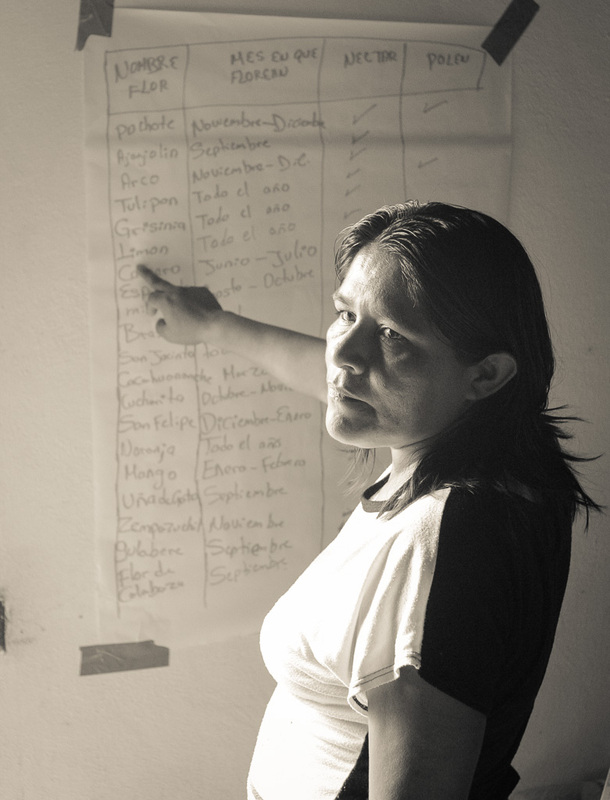 Through our initial diagnostic process, Maya Ixil coffee producers identified beekeeping as a key strategy. 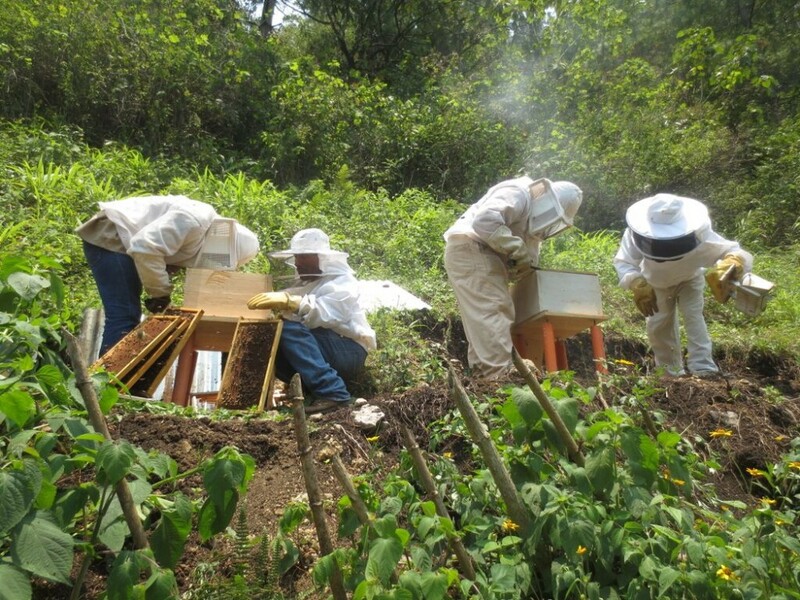 Seven Maya Ixil members were already engaged in beekeeping, but only one had received any technical support or training in basic beekeeping. 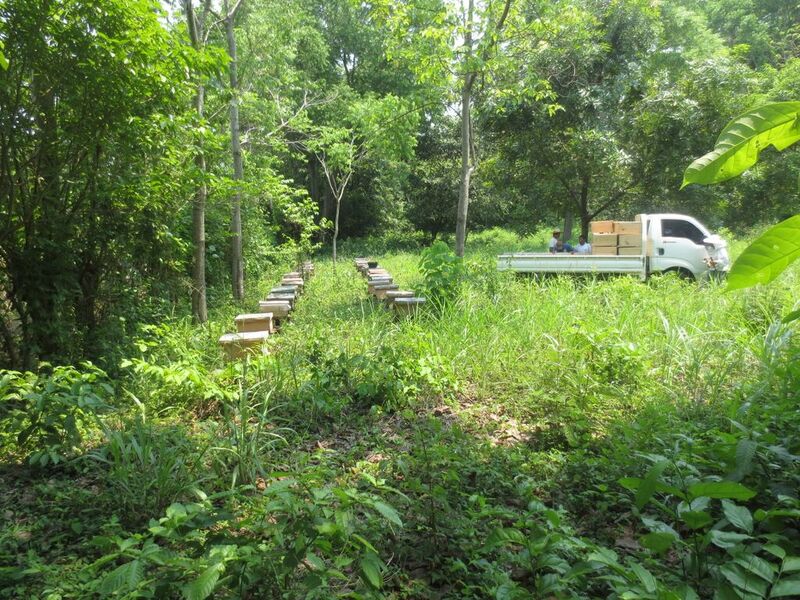 As a result, their hives received little attention and maintenance, and bee colonies were lost. They were using conventional production methods that did not align with their focus on organic coffee production. These coffee producers wanted to pursue beekeeping for supplemental income, but didn’t have the resources to do so. The cooperative needed support to improve and amplify this strategy to improve producers’ livelihoods. New hives are set up near coffee plants. Bees pollinate plants within a 3 km radius. Beekeeping generates income for coffee-farming families, fits well into the landscape of the farm, and promotes environmental resiliency. It’s proved to be a valuable strategy that benefits the environment, contributes to pollination and flowering of coffee plants, shade trees, crops, and native plants. It doesn’t require a significant time investment – coffee producers usually work weekends as beekeepers – and has proven to be an important safety net for producers affected by coffee rust, low coffee prices, and other challenges. Pollination by bees stimulates coffee plants, and can augment coffee yields and quality significantly. 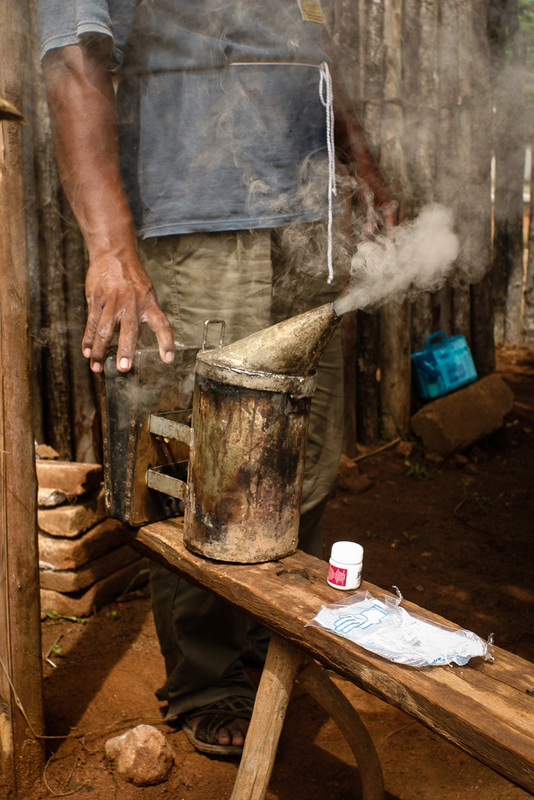 Honey is a rich source of nutrition, especially for families in rural areas wanting to replace processed sugar. Marcela Pino (right), Food 4 Farmers Program Director, gathering community perspectives on the benefits of the beekeeping project in the community. After we completed the participatory community diagnostic with 130 members, we created a base line to build the project timeline. The co-op then established 2 community teaching apiaries with 20 hives each. 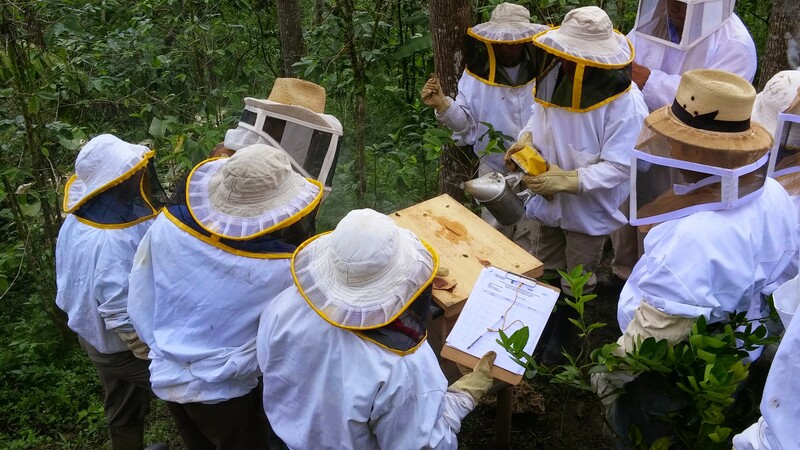 50 coffee producers were trained, and 43 decided to pursue beekeeping on their own. Beekeepers-in-training learn together at community apiaries. The first honey was harvested in December 2015, with about 4,800 pounds processed through nearby beekeeping cooperative COPIASURO. Beekeepers saw their income jump by 23%. After the first phase of work ended, we were asked to continue to help Maya Ixil ramp up this new commercial enterprise. We’re now partnering with Ecosur, a college based in Chiapas, Mexico, with extensive training and research expertise in beekeeping and pollinator populations in Mexico. Remy Vandame, who heads up the team, is a world-renowned expert on pollinators. Domingo de la Cruz, Maya Ixil’s beekeeping specialist visits each pilot apiary regularly, to support individual beekeepers. Most honey produced is sold through Maya Ixil, which provides low interest loans to members so they can acquire hives and materials. The apiaries are productive within the first year of installation and are a short-term recoverable investment. 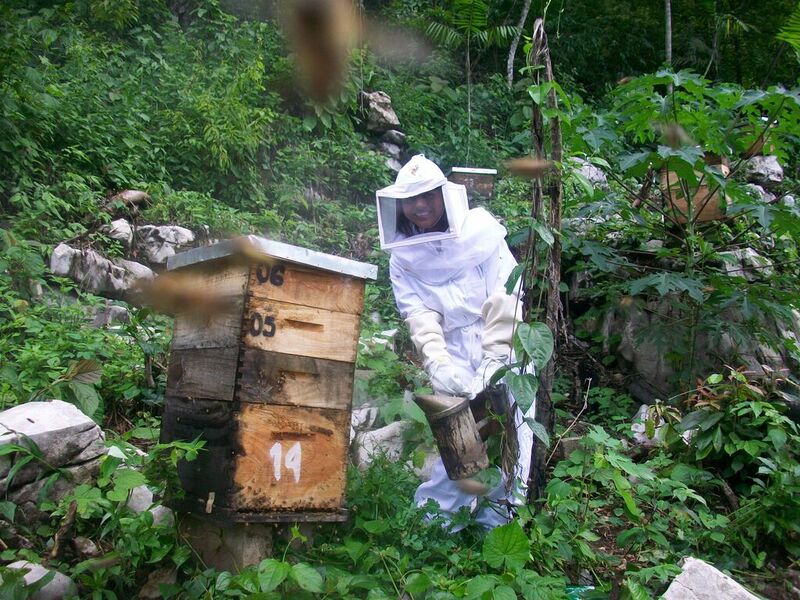 On average, Maya Ixil beekeepers have 9 hives, which deliver crucial additional income. With earnings from coffee averaging around $3,000 before costs – which typically run 40-50% – this supplemental income is critical to family well being. Maya Ixil now counts beekeeping as farmers’ second-most important source of income, after coffee. Each beekeeper has made an investment plan according to his or her economic situation. 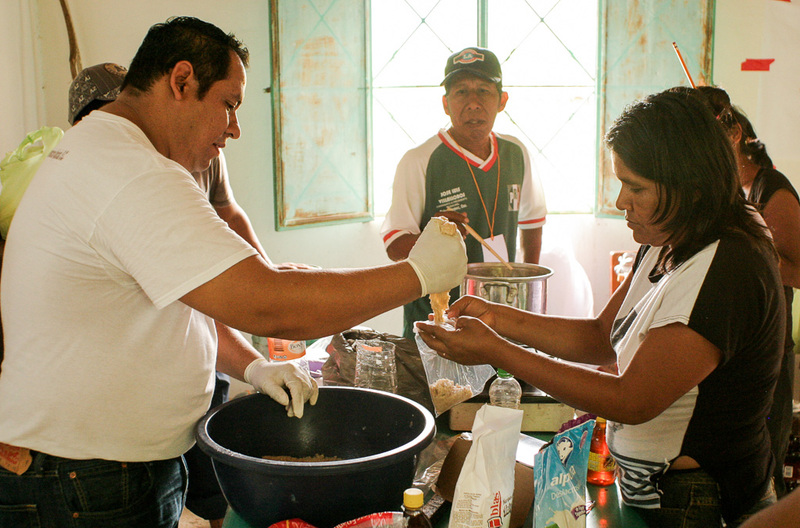 Maya Ixil is supporting each trained producer in establishing hives and facilitates financing through their internal credit system. The co-op technical specialist supports beekeepers to ensure good production and high quality honey. Because processing equipment is expensive, it’s shared among several beekeepers, who take turns using it during the harvest. 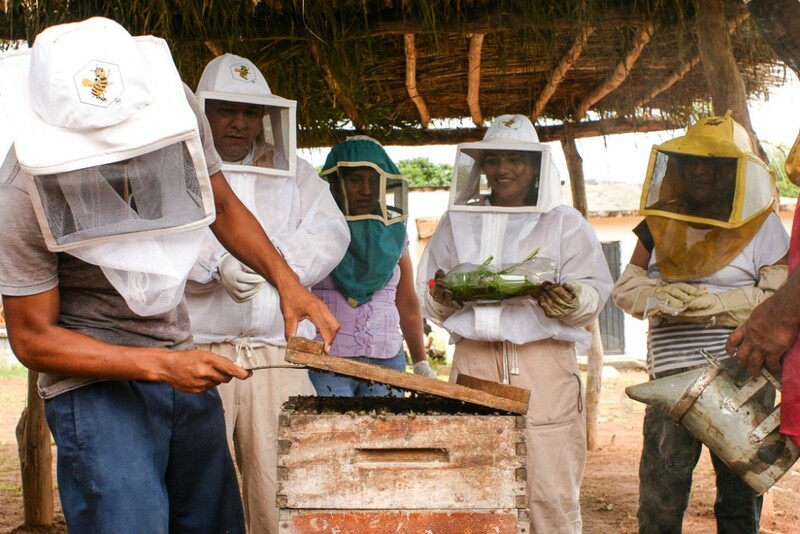 This lowers costs, encourages teamwork, and strengthens collective beekeeping knowledge. Beekeeping is a avenue to enrich producer knowledge, diversify income, amplify family health and nutrition, and contribute to community resiliency. In 2018, we are working with Maya Ixil to support and provide trainings for the program technician and four community promoters who assist with follow up and data collection. We are also working with cooperative and implementation partner Ecosur to provide honey differentiation samplings and quality control trainings. 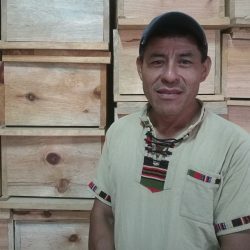 Domingo is Maya Ixil’s Apicultural Technician and beekeeping specialist. He monitors each apiary, supports producers, and provides one-on-one follow up. 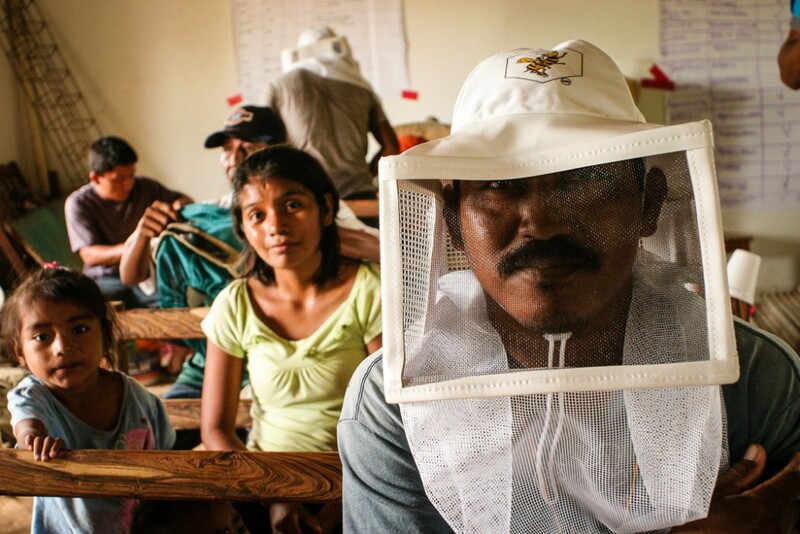 Domingo ensures that hives are productive, and deliver high quality honey. 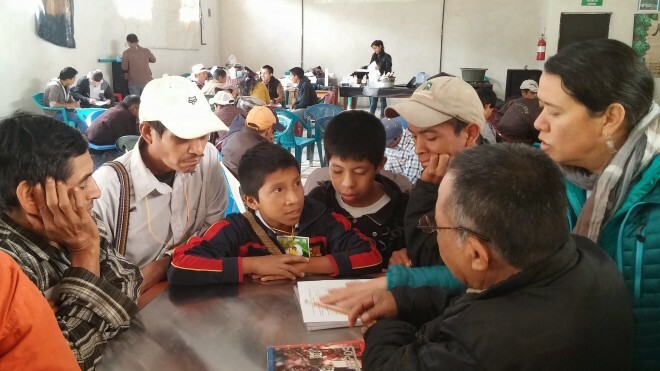 He began working for Maya Ixil in 2015 and understands the community well. Domingo has gained the trust of the communities served, and has gained professional experience in apiculture, thanks to his role in our beekeeping program.